The Board of Management and the General Labor Council of Daimler AG have agreed on the details of a personnel concept for the Sindelfingen plant in connection with the reorganization of the worldwide Mercedes-Benz production network. 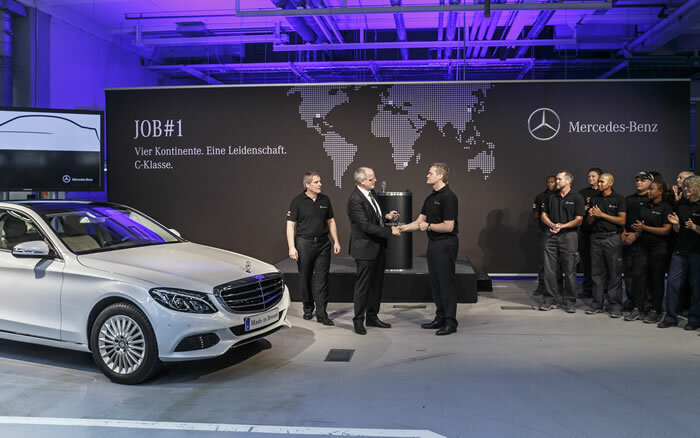 As of 2014, production of the C-Class will be concentrated at the Bremen plant with additional production in the United States for the local market. This will allow the Daimler Group to increase its competitiveness and to profit optimally from growth opportunities. Due to attractive job possibilities for the employees affected in Sindelfingen and the decision to produce the next generation of the E-Class and the S-Class in Sindelfingen, it will be possible to do without layoffs for operating reasons at the Sindelfingen plant until December 31, 2019. At the same time, the Board of Management and the Labor Council affirm their commitment to continuously improving the plant’s competitiveness and efficiency. As part of the “Sifi 2020” personnel concept, the Board of Management and the Labor Council have also specified the details of alternative job opportunities for the employees affected by the discontinuation of C-Class production in 2014. As previously announced, the assembly of the SL premium roadster will be transferred from Bremen to Sindelfingen. This will already offset a large part of the job reduction. As the result of various additional actions, approximately 2,000 attractive new jobs will be defined, reflecting the employees’ differing qualifications. Among other measures to be taken, Daimler will increase the depth of production in Sindelfingen, bring new technologies to the plant, and create jobs in research and development. The actions decided upon also include additional assembly work with the integration of hybrid drives into vehicles and the construction of test vehicles, as well as an increased number of employees in the tooling shop for the production of machine tools. With regard to new technologies for example, Daimler will concentrate its activities in the area of lightweight technology at the Sindelfingen plant. In order to ensure that the plant steadily improves its efficiency and makes the adjustments required to remain competitive also during the period of the agreement, Daimler will continue to make use of natural staff fluctuation and also of voluntary instruments such as early retirement and preretirement part-time work.